An eye-opening view of the unprecedented global spread of El Sistema-intensive music education that disrupts the cycles of poverty. In some of the bleakest corners of the world, an unprecedented movement is taking root. From the favelas of Brazil to the Maori villages in New Zealand, from occupied Palestine to South Central Los Angeles, musicians with strong social consciences are founding intensive orchestra programs for children in need. 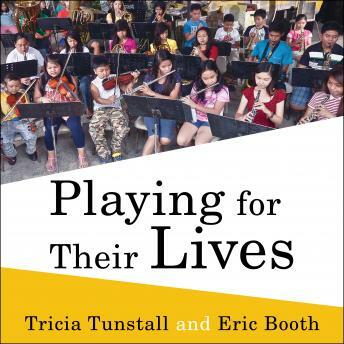 In this captivating and inspiring account, authors Tricia Tunstall and Eric Booth tell the remarkable story of the international El Sistema movement. A program that started over four decades ago with a handful of music students in a parking garage in Caracas, El Sistema has evolved into one of classical music's most vibrant new expressions and one of the world's most promising social initiatives. Now with more than 700,000 students in Venezuela, El Sistema's central message-that music can be a powerful tool for social change-has burst borders to grow in sixty-four countries across the globe.